Dog trainers are often asked tough pet-related questions from friends, family and the community, and they’re counting on your advice to help. Join highly regarded professional dog trainer, Jean Donaldson when she shares her advice, “25 Scripts for Sticky Situations,” as she delivers the opening keynote address at the Association of Professional Dog Trainers’ 25th Annual Conference in Memphis, Tenn., Oct. 17-20. 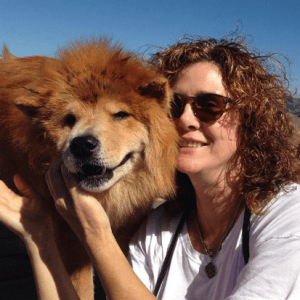 A Montreal, Canada, native, Jean founded the Montreal Flyball Association, and Renaissance Dog Training, the first positive reinforcement-based school and counseling service in the province. Dogs she trained have earned numerous titles and wins in a variety of dog sports, including Obedience Trial Champion, Tracking Dog Excellent, High in Trial and Flyball Champion. While a student, she worked as an adoption counselor at the Montreal SPCA and later served on its Board of Directors. Before founding The Academy, Jean did referral aggression cases exclusively for six years. She lives in Oakland, California, with her dog, Brian, adopted in 2015. The 25th Annual Conference will be held Oct. 17-20 at the Memphis Cook Convention Center in Memphis, Tenn. The annual conference is one of the world’s largest continuing education event dedicated to professional dog training and is attended by hundreds of trainers, behaviorists, pet industry specialists and exhibitors. For more information about the annual conference, visit https://apdt.com/apdt-conference-2018/.